The Enfield Ritz: a site for "comprehensive redevelopment"? Ashmole Academy has announced proposals for a new primary school on their site in Southgate. Ashmole is a high performing secondary school with a reputation for outstanding GCSE results. 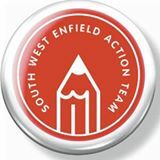 SWEAT welcome this news which will alleviate an increasing problem In South West Enfield. 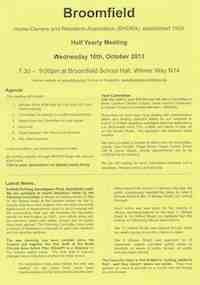 In the Fox Lane district there is an acute problem where local children cannot gain admission to their local schools. To enable the school to go ahead and gain the funding required Ashmole will need support from parents. The proposal is for a 2 Form Entry school starting in September 2015 with a 2 Form Year 1. Ashmole will be asking parents of children born between September 2009 and August 2012 to register an interest, which will enable the new school application to commence. To register interest follow the link to Ashmole Academy and download the “New School Information Pamphlet” Information about the form and where to return it to are on the leaflet. Alternatively a leaflet with a form to register interest will be delivered by Ashmole to homes in the area as well as to local nursery and toddler groups. The primary school announcement promises that the school will have the same quality education that the secondary school provides. Well done Ashmole for taking steps to meet a community need. Please visit the SWEAT website for more information and updates. This is the first time that a community organisation has succeeded in preventing a contract of this size and length from being made by seven local authorities and their waste disposal authority, the second largest in the UK. This is of national significance since it sets a precedent for closer scrutiny of large public sector procurements by the taxpaying public. For two years the Pinkham Way Alliance of residents’ associations, businesses and schools in North London has been arguing against the now abandoned waste strategy. This culminated in four North London electors, supporting the Pinkham Way Alliance, exercising their right under section 8 of the Audit Commission Act 1988 to complain to the District Auditor on 16 November 2012, and again on 25 May 2013, that the NLWA was not giving value for money (i.e. not being effective, efficient and economical) in the pursuit of its procurement. This led to the District Auditor warning, in his report to the directors of the Authority dated 1 September 2013, that their procurement was a “key value for money risk”. The Authority has now been forced to admit that dropping the procurement can save £900 million! The complaint to the District Auditor comprised 40 pages of devastating analysis of the failures of the NLWA over the past decade. Just one example was their failure to take into account figures provided by their own consultant accountants showing that the procurement could be 19% cheaper if private finance were not used. Now the NLWA’s announcement states that the claimed £900 million saving will be achieved “particularly if the Authority does not use private finance”. At the same time as the complaints were made, PWA contacted councillors to point out that in times of austerity it was inappropriate to commit to spending £3 to £4 billion over the next 30 years on what we considered was a flawed waste strategy; and thousands of residents and businesses signed our petition urging the scrapping of the procurement. Surely, we argued, the Waste Authority cannot be the only one who is exempt from austerity. Clyde Loakes, the Chair of the Authority has now been obliged to accept that local council services would have suffered had the £900 million been wasted on the procurement. Who will take responsibility for the procurement omni-shambles? The Authority’s announcement implies that planning and energy aspirations lie behind their change in direction, rather than the failure of the procurement. The announcement dwells on planning policy changes as having driven their change of direction. Yet these changes were flagged up at the start of the year, after which the Authority continued to proclaim its intention to let the £3 billion contract. Similarly, the Authority announces the continuation and further development of Energy from Waste at its Edmonton site, but fails to mention that the only threat to this had been its own procurement, because the bidders wanted to divert residual waste away from Edmonton to fuel their own energy plants outside London. The role of Pinkham Way Alliance in blocking the procurement is manifestly clear. The Authority’s failure to mention this timely democratic intervention from within the North London community is a worrying indication that accountability to the local community is unimportant to the NLWA. £21 million has been spent on this cancelled project, with a further £12 million spent on the unnecessary purchase of the Pinkham Way site. It cannot be right that no-one accepts responsibility for this. The quality of the whole costly and lengthy project is fundamentally called into question by the fact that a strategy which it was claimed would achieve “economies of scale” has turned out to be £900 million more expensive than something thought up at the last minute that is now claimed to be able to achieve the same landfill reduction and recycling targets which drove the procurement. Unfortunately the Authority’s announcement indicates that they are still determined to use the Pinkham Way site for waste: they only exclude its use for residual waste. In a recent document, they stated that the site’s central location makes it “strategic” for North London’s waste management. This implies that rather than sorting recyclate in a number of smaller local plant, close to where the refuse is collected, which is favoured both by the public and by EU law, they now aspire to truck recyclate from the whole of North London to Pinkham Way. The target of 50% recycling by the year 2020 would imply 424,000 tonnes per year. Although less smelly than the proposed Mechanical & Biological Treatment plant (MBT) that we defeated last December, that size of Materials Recycling Facility building (MRF) would obliterate the nature conservation site, and add more than 1,000 vehicle movements per day to the junction of the North Circular Road with Colney Hatch Lane, and to all the radial commuter and shopping road routes leading to that point. It is therefore necessary to continue the campaign to safeguard the Pinkham Way nature conservation site. We remain determined. Our future activity will take place against the backdrop that the credibility of the NLWA, and therefore its influence, must now be critically diminished by its procurement omni-shambles. Yesterday residents on Westminster Drive woke up to find that travellers had moved into the empty plot on the Bowes Road known as Site 6. There are about 10 caravans in total. and a resident of Westminster Drive reports “Already the fencing to the rear of the plot, backing our gardens has been broken away, we are feeling very vulnerable.” An official at the site who spoke to a member of BHORA this morning, advised that the travellers have come from their last stop at a sports ground in Edmonton, and that it could take a month to remove the travellers following the proper legal procedures. Notting Hill Housing Trust provided the following statements regarding the steps they are taking to tackle the issue. What action is Notting Hill Housing Trust taking to remove the travellers? 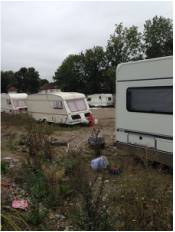 When does Notting Hill Housing Trust expect the travellers to be removed from the site? When will NHHT repair broken fences of those backing on to site 6? How NHHT plan to protect Westminster Drive gardens. 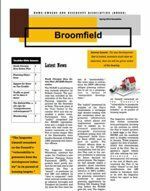 “We have 2 smaller vacant sites at the entrance of Broomfield Road. These sites are locked however we have organised on-going 24 hour security for these sites today. Unfortunately we have been advised it is not always a quick process to remove travellers from private land however I would like to assure you that we will do everything possible to ensure the occupants are evicted as soon as possible. Palmers Green Festival - Can You Help? The expectation is that this year's Palmers Green Community Festival will be better than ever. Up from last years 70 stalls this time there will be 100 stalls; the bandstand is full, with a waiting list, and there is no shortage of UK-level dancers ready to appear on the Dance Lawn. Add in the fun fair, climbing wall, dog show and a plethora of other units, even including a string orchestra, and there is considerable work to do on the day to get everything into the park safely, performing so visitors can enjoy themselves, and then out again safely before nightfall. The small committee organising this event have managed thus far, but safety and fun for attendees on the day now becomes priority. More pairs of hands are needed from about 9am through until 8pm. The range of tasks is wide from stewarding to shaking a tin, from traffic control to updating timetable blackboards in real time. it’s a Community Festival and if you can spare anything from two hours upwards between these times then please do so. Training, high viz vests, Festival T Shirts and perhaps even walkie talkies depending on roles are provided. BHORA received the following communication from Ray Reilly. 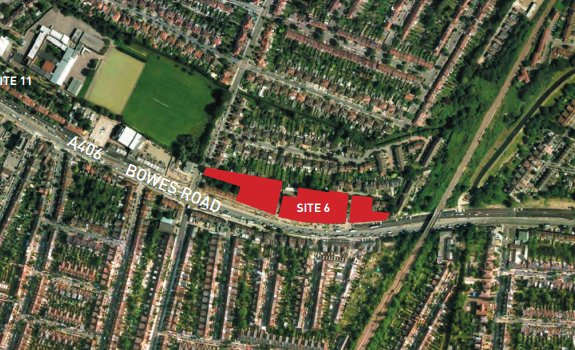 "As requested and to keep you informed, as of today and following officers advice Mc Donald's have withdrawn their planning application and advert applications at 188 Bowes Road. I have received circa 100 objections, so would appreciate it if the word can be distributed. The applicant may or may not choose to re-submit. Senior Planning Officer (South Team)"
Many thanks to those of you that submitted an objection letter, your efforts are most appreciated. We will keep you posted on subsequent plans for the site. At the AGM last week I was voted in as the new BHORA Chairman. It is with great pleasure and honour that I take on this role. I thank all the members who voted for me, and in return I promise to do my absolute best for you as Chairman. My heart and soul is in this community, and therefore now I have a duty to stand by you and take a lead on action. My aim is to bring BHORA into the 21st century, and inject life into it. In order for you to feel the true value of BHORA, the Executive Committee and myself will make the accounts, Executive Reports, and our achievements visible to you. I'd like to welcome Derek Honnor to the Committee as our new Treasurer. I very much look forward to working with him as he has already contributed and supported BHORA extensively over these last few months, which has been invaluable. I also welcome back Andrea Forsyth, and have since the AGM co-opted Paul Forsyth who both supported BHORA last year by setting up our new website and facebook page. I thank them for their efforts. One thing we must not forget is the massive contribution BHORA received over the years from our former Chairman Gillian Yeung. Gillian was at the helm of BHORA during some of the most difficult years and always managed to keep things going. On behalf of all the BHORA members I thank her very much for her support. At the AGM, both Gillian and Ernie Chinnick announced they would both be stepping down completely from the Executive Committee. This is a sad moment for BHORA. Their contributions, support, knowledge and experience are priceless, and we are all very sorry to see them both go. BHORA needs a blend of mature and young members in our association, and I will be working on this. Last but by all means not least I must mention our star Laura Davenport, who after two years as Secretary has stepped down for a well earned rest. I thank her very much for all the hard work, support and above all the fun that she brought into BHORA!! We will miss her very much. But I am delighted to say that she hasn't gone forever, and will be popping to our committee meetings from time to time as her knowledge, experience and sense of humour is invaluable us. So on that note, I look forward to an exciting future with BHORA and hope to meet each and every one of you very soon.